Fresh budget SSD by company OCZ is able not only to change the users’ opinions on the TLC-drives, but also become the fastest among them. The new product uses a new 15-nm TLC NAND by Toshiba company, which with the help of a special program of magic allows OCZ Trion 150 adequately express itself. In fact, OCZ Trion 150 – is a product of Toshiba design. The new version of Trion uses almost the same hardware platform as the old one – the controller Phison S10 and Toshiba own TLC-memory. Now, however, Toshiba has more dense and profitable in production planar TLC NAND, produced by process technology with 15 nm standards. 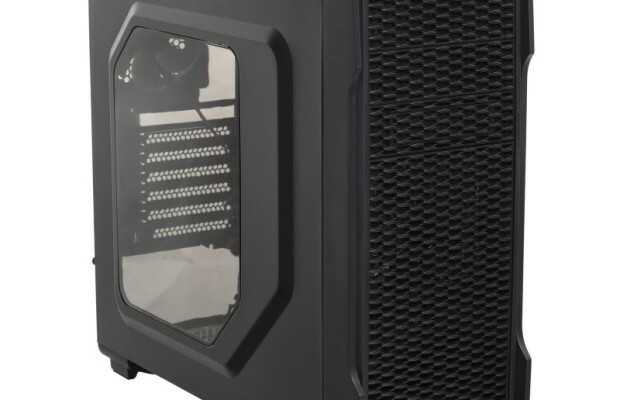 It was it that has served as the real reason for updating the model range, and the emergence of such a drive as Trion 150. 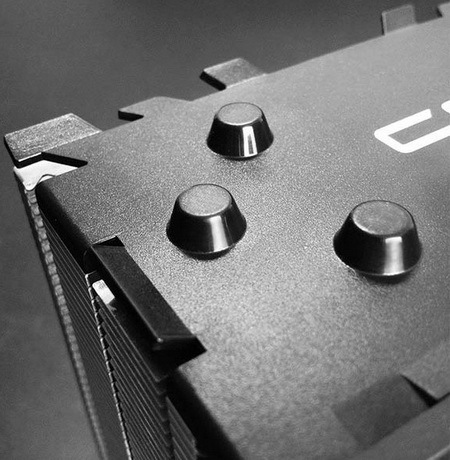 However, the case is not limited to only memory replacement: OCZ in its marketing materials promises a significant increase in performance in certain scenarios. And this is really interesting, because the change of one species of TLC NAND to another to achieve appreciable growth speed is not possible. 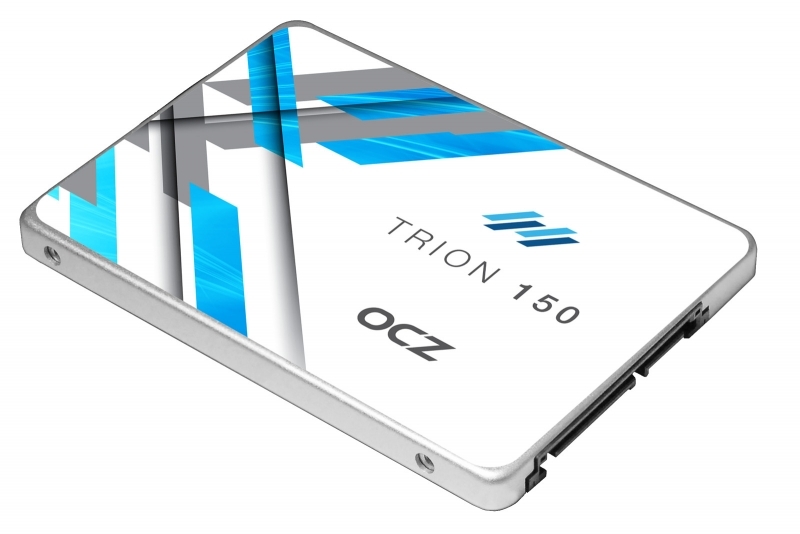 So, as soon as we have the opportunity to become better acquainted with OCZ Trion 150, we did not fail to take advantage of it. 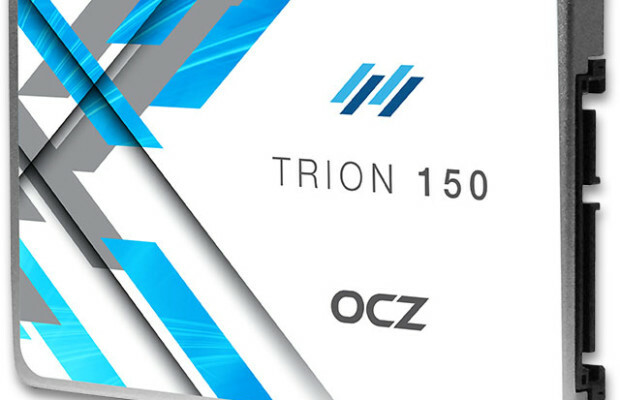 So, from the point of view of the “iron”, OCZ Trion 150 is a light modernization of the budget Trion 100, which, like its predecessor, is positioned as an HDD replacement for users who want to have the first touch to the world of SSDs. 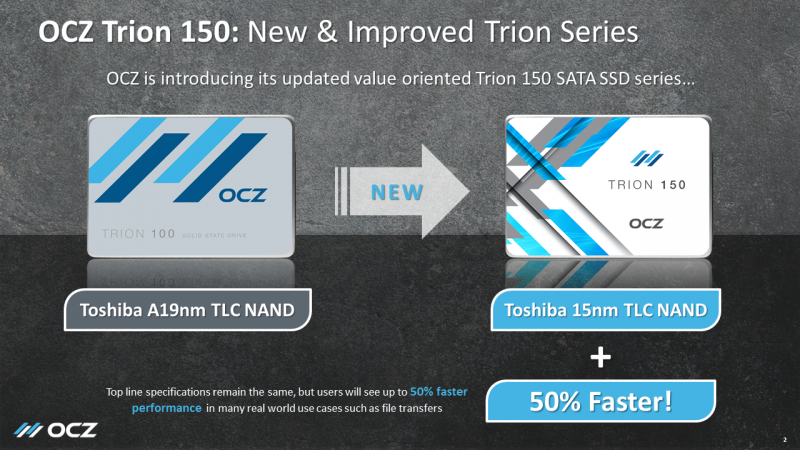 The essence of the changes occurred is that Trion 150 has the latest 15-nm TLC NAND by Toshiba installed, while the previous model used memory manufactured on 19-nm process technology of second generation. At the moment, the massive supply of 15-nm TLC NAND is just beginning, and OCZ Trion 150 is the first and only on this SSD flash memory. For the first time the start of mass production of 15-nm flash memory Toshiba was announced almost two years ago. But then, in order to achieve an acceptable yield of semiconductor crystals, the company took a long time. But now, finally, the parameters of memory descending from the conveyor allow using it in the SSD of a younger price range. 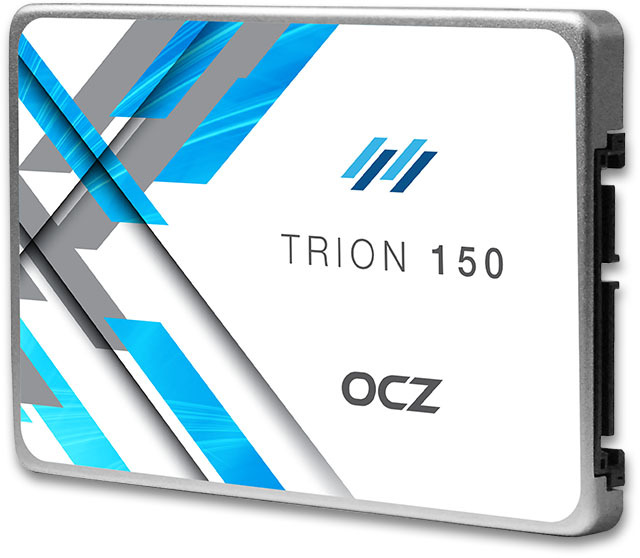 Moreover, due to the cost of a new memory Trion 150 is clearly lower than its predecessor, so OCZ hopes to quickly replace the supply structure of a model by the other. Оne more important detail should be emphasized. Process technology with the norms of 15 nm is the last and most “fine”, where the planar flash memory for mass SSDs is planned to be made. Thicker 2D NAND is already used in SSD, most likely, will not be used there anymore – further scaling of mesh size entails a serious decline in their reliability. Therefore, future progress is to be associated only with the transition to the three-dimensional arrangement of cells of flash memory. In other words, fundamentally cheaper (in terms of cost) drives, than Trion 150 are not expected before the second half of the year – when the market will see a promising TLC 3D NAND by Intel/Micron. Today the 15-nm TLC NAND by Toshiba is a record for data packing density in planar devices, flash memory, new chips can store 1.28 Gbit/mm2, and of all the options available on this indicator only 32- layer TLC V-NAND Samsung can compete with them. However, OCZ does not hurry to demolish prices for low cost SSD model. The recommended price of representatives of Trion 150 range is set at the same level as before. 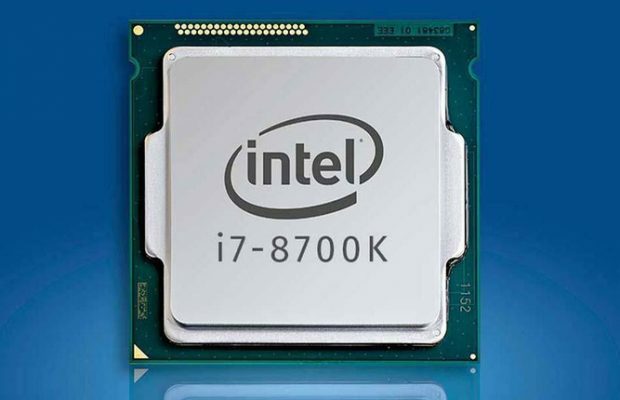 But this is still enough to make the new model, along with Crucial BX200 and ADATA Premier SP550 fell among the most affordable solid-state drives that are smaller than the drives based on MLC NAND, at least by 15-20 percent.